You’ve heard of sunny-side up, boiled, poached and scrambled, but did you know about these Chinese and Hong Kong-style eggs? Hong Kong is home to a variety of iconic foods, from Hong Kong breakfasts to local street food, to Hong Kong sauces that we cant get enough of, and we love living in such a food-filled city. 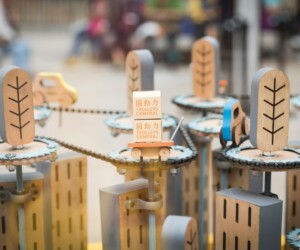 Recently, we’ve been looking around the city and noticing that The 852 is more than a little obsessed with eggs! So we’ve compiled a list of all the Hong Kong eggs you need in your life, to help you sort the whites from the yolk. Number one on our list of Hong Kong eggs, and also the smallest on our list, these spotted black and white freckled eggs can be found in your local wet markets. 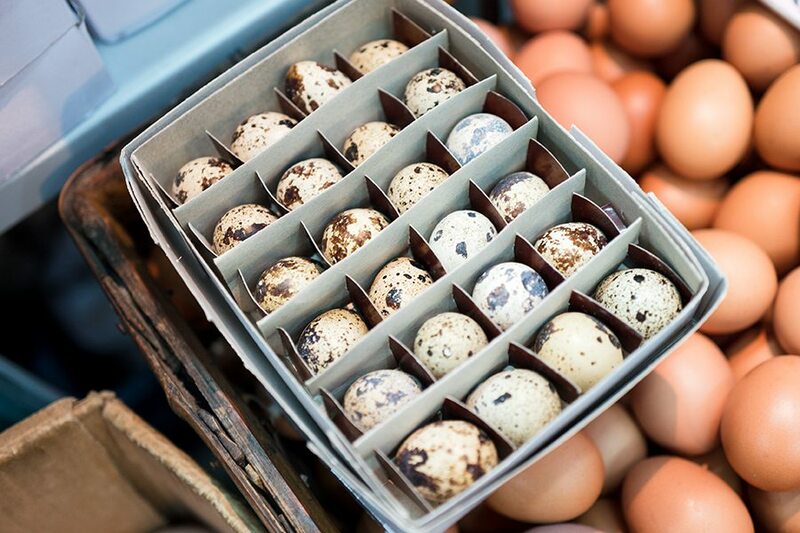 Quail eggs are popular hot snacks during the winter months, and can be found being sold at street food vendors. Salted eggs are actually duck eggs that have been preserved in salted charcoal. These eggs are often found in supermarkets and wet markets covered in a thick black dried looking paste. 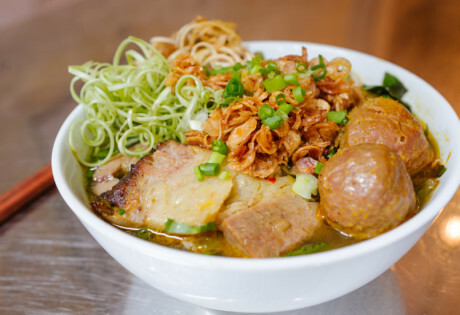 Salted eggs are typically paired with white rice or consumed alongside something very plain in flavour like congee, as they are incredibly savoury. 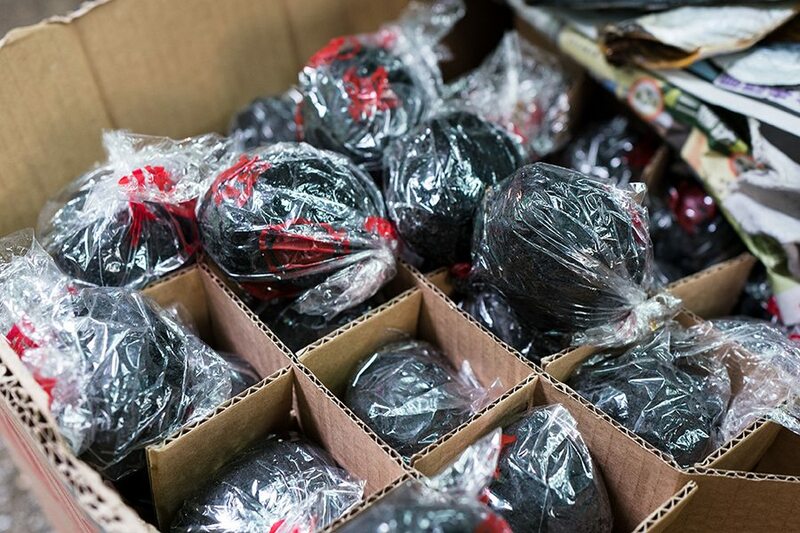 Contrary to their name, these black eggs are not over a century year old, and though at first sight can appear concerning, the century egg is simply a duck, chicken or quail egg preserved in a mixture of clay, salt and ash. Century eggs can be described and interpreted as a cured egg, and is most commonly found in congee and as a side dish. 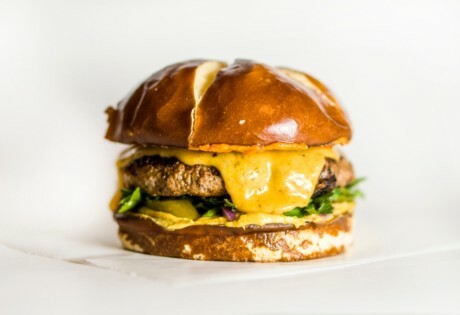 It has an almost creamy and rubbery texture and is savoury in flavour in comparison to it’s boiled egg counterpart. 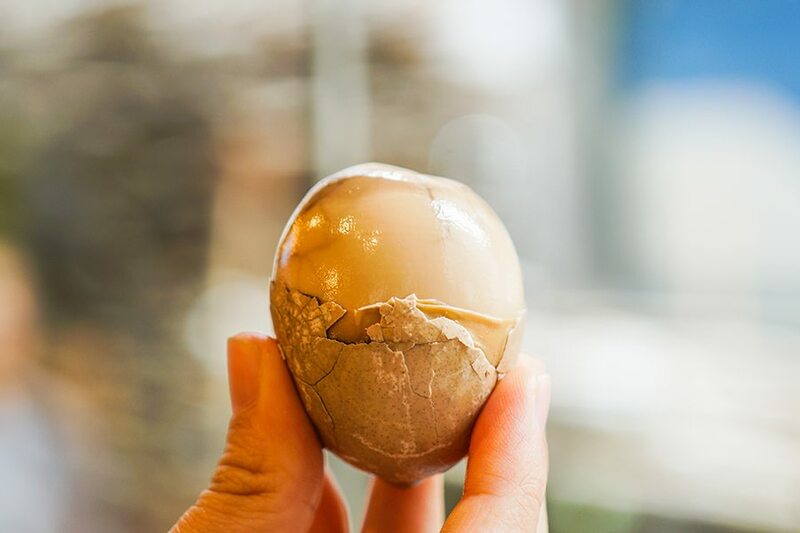 Tea eggs are boiled eggs, that are then cracked and boiled again in tea, soy sauce, and herbs giving them a brown marble-like pattern. These savoury flavoured eggs are regularly eaten as a snack, especially during the colder months, and can be found in tea houses and at street vendors. 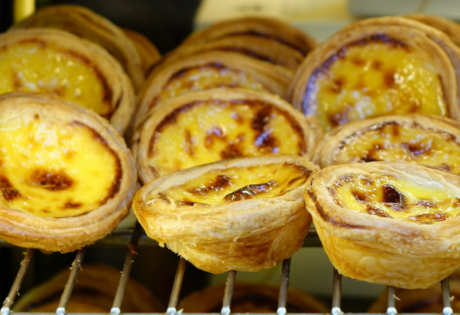 These are definitely one of our favourite types of Hong Kong eggs, and a must-try for any visitor to the city. 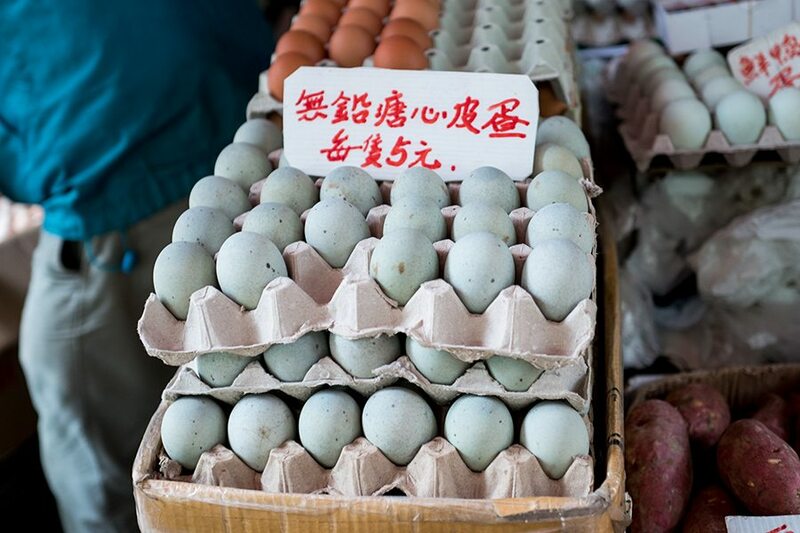 Chinese red eggs are traditionally made by the family after the birth of a baby. 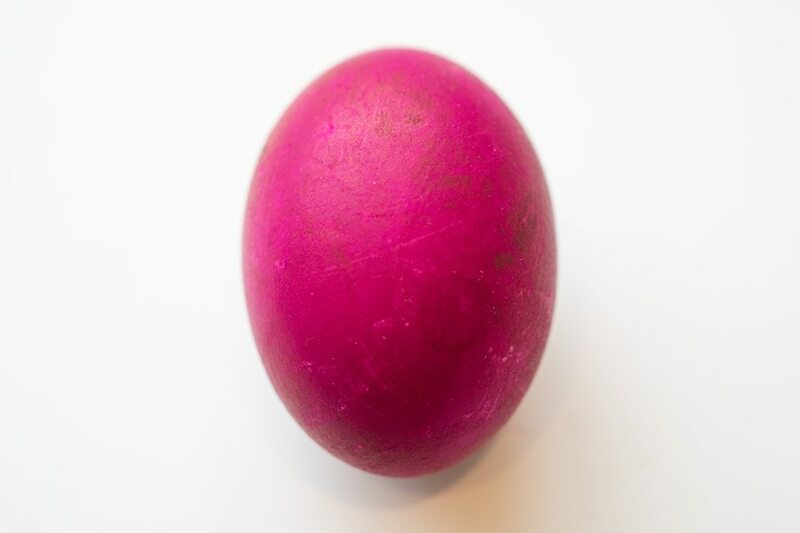 The chicken eggs are boiled, and then wiped with wet red paper giving it, it’s red and pink colour. 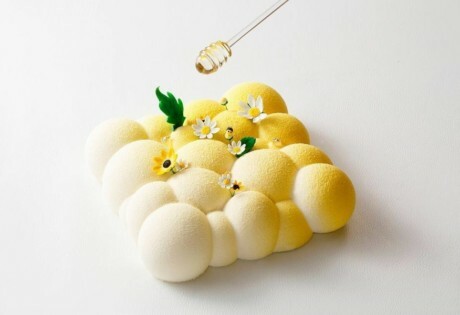 The eggs are a symbolism of new life and are given to guests and neighbours to spread the word of their new baby joy. Chinese red eggs taste like regularly boiled eggs and are just simply coated in a Chinese symbolic happy colour. Tried all these Hong Kong eggs and looking for more food in Hong Kong? 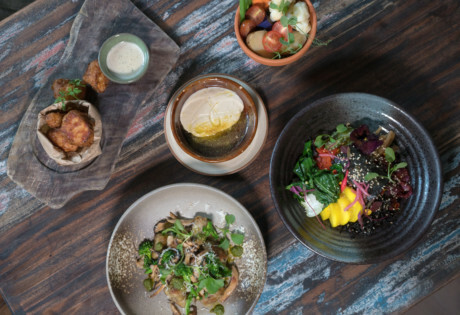 Discover the best French restaurants in the city, find out what our fave vegetarian restaurants are and try modern Japanese cuisine at Zuma.